With an extensive history of producing brass die castings in a variety of shapes, sizes and alloys; we create a brass die casting to meet your specific needs. Our valuable experience and commitment to quality ensures our customers they will receive a quality product at a competitive price. To maintain consistent die temperature, Lamar Tool & Die Casting, Inc. utilizes hot oil mold temperature control systems. Additionally, vacuum chill blocks can be incorporated into the die cast molds, to minimize casting porosity. Tooling can be designed with systems utilized to mold several types of inserts (i.e. steel pins, bushings, etc.) into the castings. Lamar Tool & Die Casting, Inc. has (7) fully automated Die Casting Machines with clamping pressures ranging from 385 tons to 730 tons. Equipped with automated ladlers, sprayers and parts extractors; our Die Casting Machines assure ultimate die casting consistency. 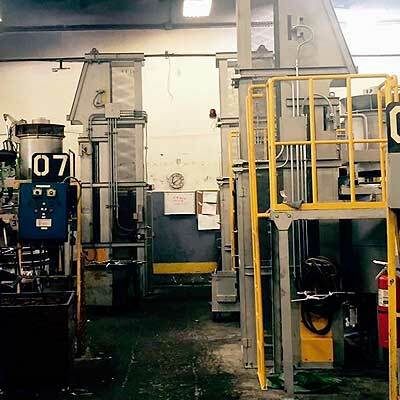 Our state of the art melt and holding furnaces, located at each machine, allow the ability to maintain a +/- 7° metal temperature range, resulting in superior casting quality. © Lamar Tool & Die, Inc.. All rights reserved.